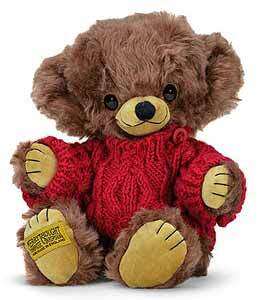 Benjamin Cheeky Bear is proudly handmade in England by Merrythought and is a lovely character. Fully jointed and beautifully made in soft milk chocolate mohair. Dressed in an adorable woolly jumper.